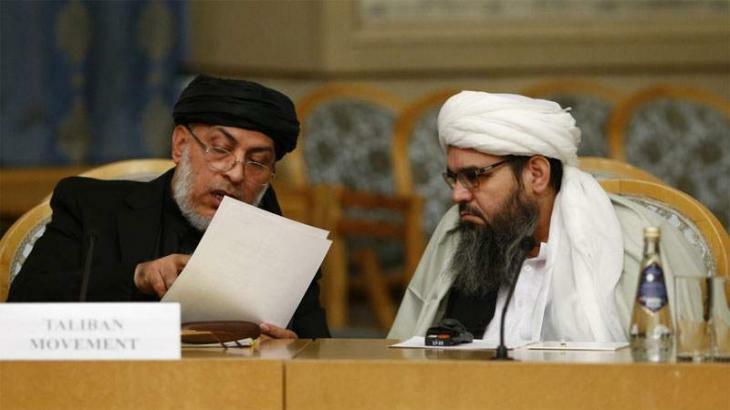 DOHA (UrduPoint News / Sputnik - 17th April, 2019) The intra-Afghan conference is set to take place in Qatar on April 20-21, Taliban movement's spokesman Zabihullah Mujahid said on Wednesday. "As our compatriots already know, the intra-Afghan conference is scheduled for April 20-21 in the Qatari capital of Doha," Mujahid wrote on Twitter. However, the Taliban spokesman expressed the movement's disagreement with the list of participants in the event drafted by the Afghan government. "Kabul's administration has published a list of 250 participants of the conference, but its organizers do not plan to accept so many people from Kabul, and the participation of so many people is not normal for such events. Only a limited number of political and national figures from this list have made it to the final list, and only they should participate. The creators of the Kabul list should understand that this is an organized�conference prepared in advance, in a faraway Gulf country, and not an invitation to a wedding or some other party at a hotel in Kabul," Mujahid underlined. The spokesman went on to note that all participants, including those who have links to some public institutions, should only express their personal views at the upcoming conference and refrain from speaking on behalf of this or that body. "If a participant is associated with the administration of Kabul, as was the case at the Moscow conference, he should take part only in his personal capacity and express only his own views, since no one can represent the administration of Kabul," Mujahid stressed. At the same time, the public affairs office of the Qatari government told Sputnik that "all decisions on the the participation in the conference are being taken by the Taliban and the Afghan government, while the Qatari Foreign Ministry only serves as a host." The first round of intra-Afghan talks took place in Moscow on February 5-6. The Afghan government's delegation was absent from the talks. Following the conference, attendees produced a declaration, in which they outlined their desire for the talks to be attended by officials of the Afghan government in the second round. It also stipulated that Taliban leaders should be removed from international "blacklists" and expressed the need to end the war in Afghanistan.